Expect to experience the earthy, grounding, flowing, passionate, spacious, expressive and etherial qualities of the chakras firsthand. The sumptuous journey begins with an invocation of compassion & wisdom. Holly plays her original live music, guiding you from one chakra to the next. You’ll move through rhythmic connection in the lower three chakras, moving to profound silence, ending in a deep meditation – all the while, maintaining a grounding connection to centre. Be ready to be moved! Holly’s teaching combines therapeutic Yoga, customized practices and Ayurvedic lifestyle principles. * Based on each individual’s distinct constitution, Holly helps practitioners discover how their particular habits help or hinder their progress. Her suggestions are not prescriptive, but rather, a specific, perceptive, impactful response to each individual’s unique set of parameters, emphasizing simplicity. Her philosophy of teaching is to empower each to through deep Self-connection to discover beneficial practices and approaches to create optimal balance. With this knowledge, each person’s practice becomes customized very quickly, even in a group setting. When Holly began doing Yoga in 1993 she was struggling with long-standing chronic fatigue and food sensitivities. 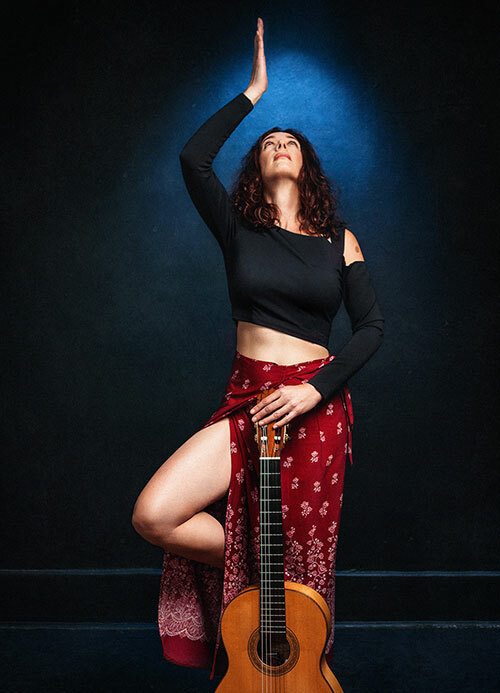 Since then, Yoga has also helped her overcome scoliosis, chronic pain, multiple repetitive strain injuries, pinched nerves and postural problems related to playing the guitar. With a desire to share her knowledge, Holly completed a 600-hour Yoga teacher training program in 2003 through the Yoga Centre of Calgary. Pursuing her interest in therapeutic Yoga, she later completed a 450-hour course on Yoga and Ayurveda through the American Institute of Vedic Studies in 2012, including a paper on Yoga, Ayurveda and Musicians’ Injuries. *Ayurveda is the ancient healing system that developed alongside the Yoga tradition. It provides wisdom from a simpler time that promotes longevity, vitality and good health.